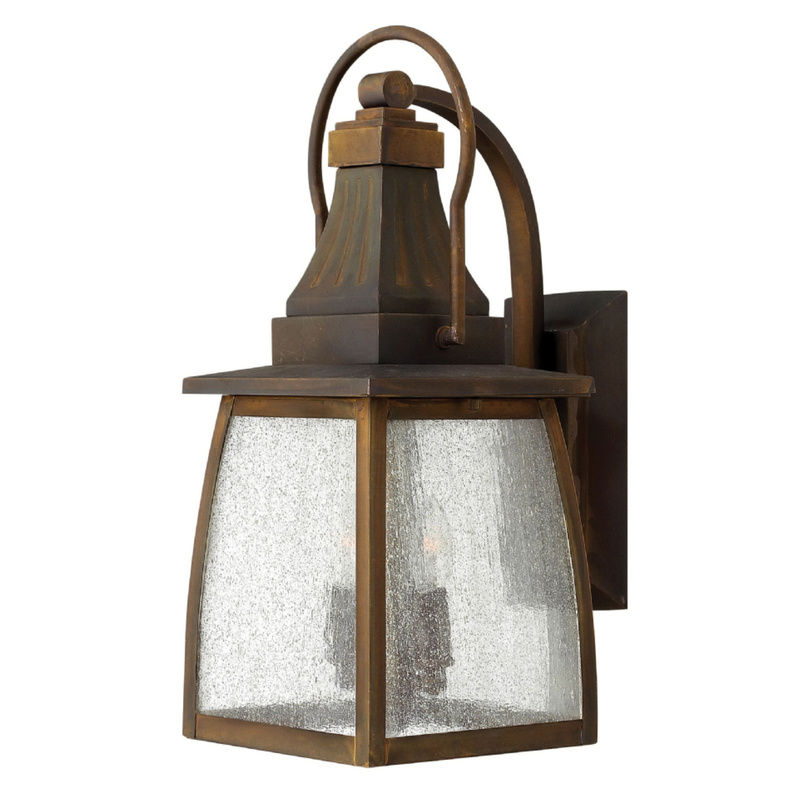 Hinkley Lighting Montauk Collection Outdoor lantern in sienna color, has solid brass construction for added durability. This wall-mountable lantern features clear seedy glass shade. The lantern has a power rating of 120-Watts and voltage rating of 120-Volts AC. This lantern has two incandescent lamps with a power rating of 60-Watts. It is suitable for use in wet areas. The lantern is cUS certified.